Wow! Can you believe that is has been 23 years since we (Jim and Betty Johnson) chose to share our dream in this Gem Of The Hills Community with you? 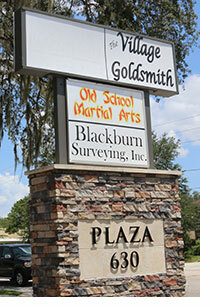 We opened The Village Goldsmith on June 14, 1994 at 630 W. Hwy 50, Clermont, and have been in the same location, with the same phone number (352-394-4429), and the same dedication to quality workmanship, partnered with customer service. In short, we are the longest standing jewelry store in the South Lake County. While the consistency you have come to trust has been our watchword, we are looking ahead to making small upgrades to keep pace with South Lake County's ever changing population growth and demographics. We have no interest in becoming a big box store wannabe, so you may be assured that our personalized way of conducting business will never change. Our custom design will always keep pace with the latest styles inspired by you, the true imaginative designer. Your desire for one-of-a-kind pieces will continue to be respected with no duplication for any other customers. Our customer relations expert is Monica Crocombe, who strives to enhance your experience with us by inserting her unique perspective of design and repair adjustments. Always ready with a welcoming smile. Monica can change your watch batteries, recommend a gift for a loved one, or counsel your desire for a custom designed piece. It is Monica's voice you hear letting you know that your special item is ready for pick-up. Betty has the responsibility of restringing your beads and pearls. Better to maintain the silken threads than lose what may be an heirloom strand of precious memories. The Village Goldsmith offers custom design, intricate repair, and ready to wear items, clock and watch repair, battery replacement, pearl and bead maintenance. Jim has even been known to repair trumpets and eyeglasses. Jose Carpio, our faithful and experienced goldsmith, has been with us for 11 years. Jeweler Matt Jewell is our newest member of the staff. Together we make a great team. We do it all for you. We have been rewarded for our integrity and dedication to the Clermont community with outstanding ratings from the South Lake Chamber of Commerce, Better Business Bureau of Central Florida as an "Accredited Business", and the unwavering support of you, the folks who have become our family, friends, neighbors and partners. Our commitment to you and yours has never wavered. We have always been and will continue to be Clermont's jewelry repair and design shop of choice, The Village Goldsmith. We thank you again for keeping your business at home in South Lake County and helping us make our jewelry store your jewelry store, for yet another amazing year.